I always hated the way my Werkstatt with CV expander looked. I tried to make ik more Moog like without going overboard. 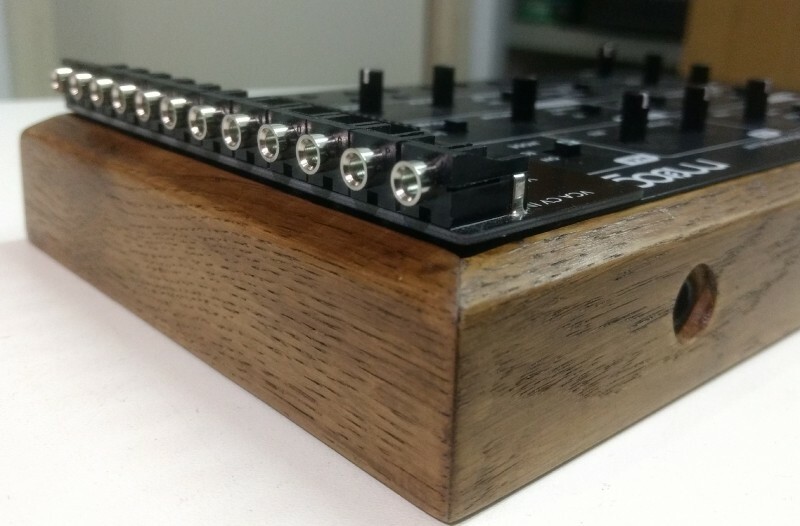 So hope you like this oak Werkstatt enclosure! 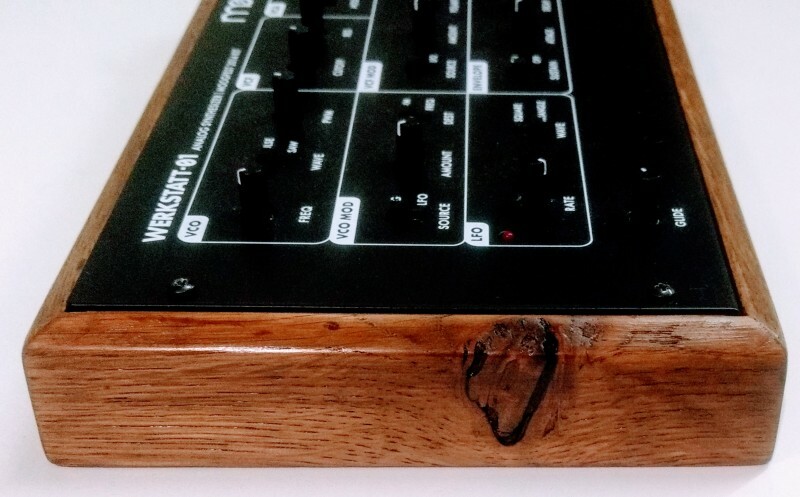 Now I just need some nice knobs, maybe also oak? Moog Werstatt, Korg SQ-1, Arturia Keystep, Volca Beat, Volca Keys, Volca FM, Volca Mix, Lumanoise V2, Zoom multistomp MS-70CDR, Caline Snake bite, Peavey PV6 mixer, Edifier R2000, Miniman Midisport 2x2. Looks great! The deep grain has a really classic look. 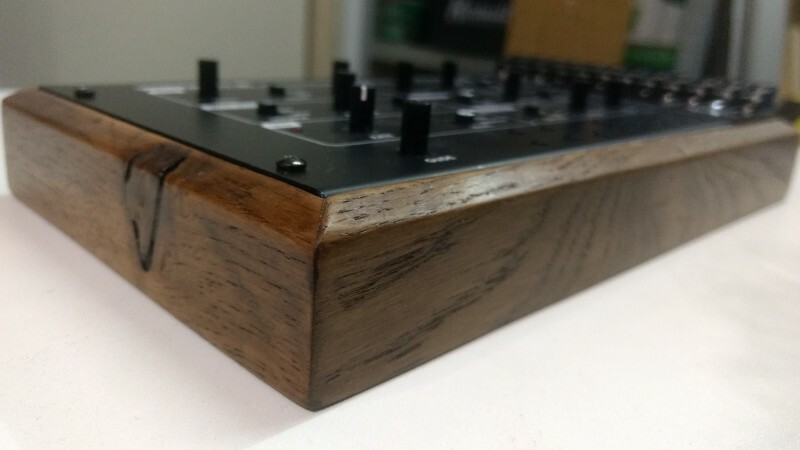 I think some Alco-style knobs would be a good aesthetic fit with the case. The really small ones (and probably the next size up) won't cover up the text under the knob.